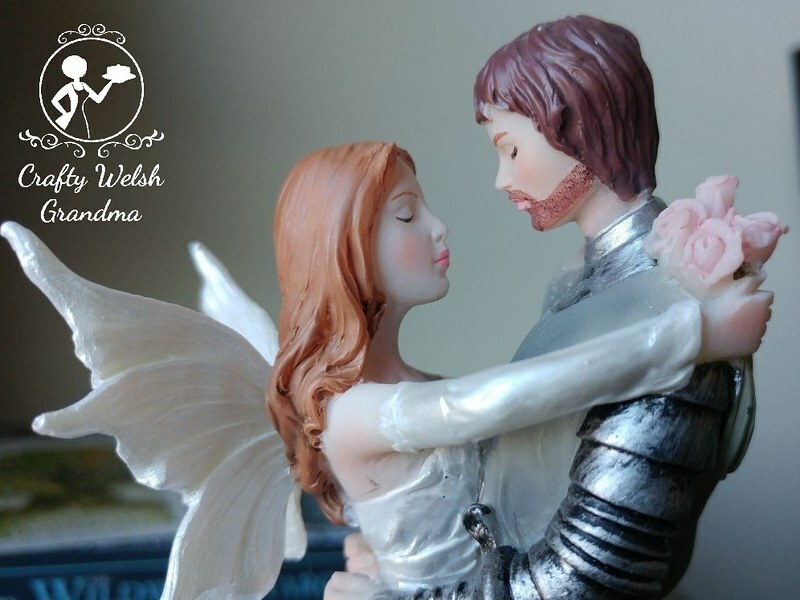 This beautiful cake topper, which was brought over from America by the groom's brother as a gift, was in need of a little touch up. 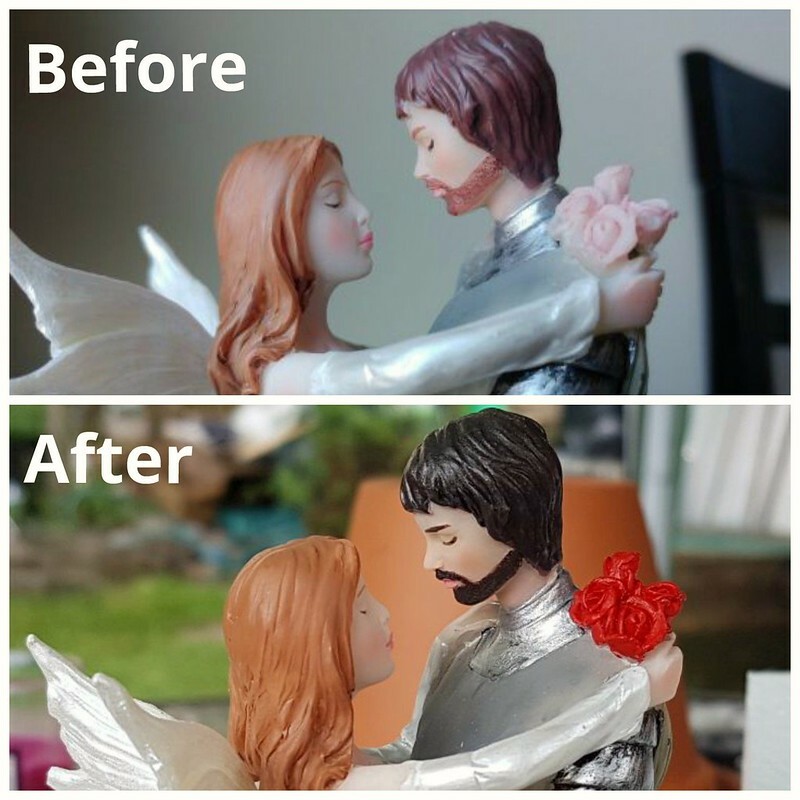 From the "Before" image, you can see that, not only did the hair a beard of the knight / groom not match, but it didn't exactly correspond to the groom himself. 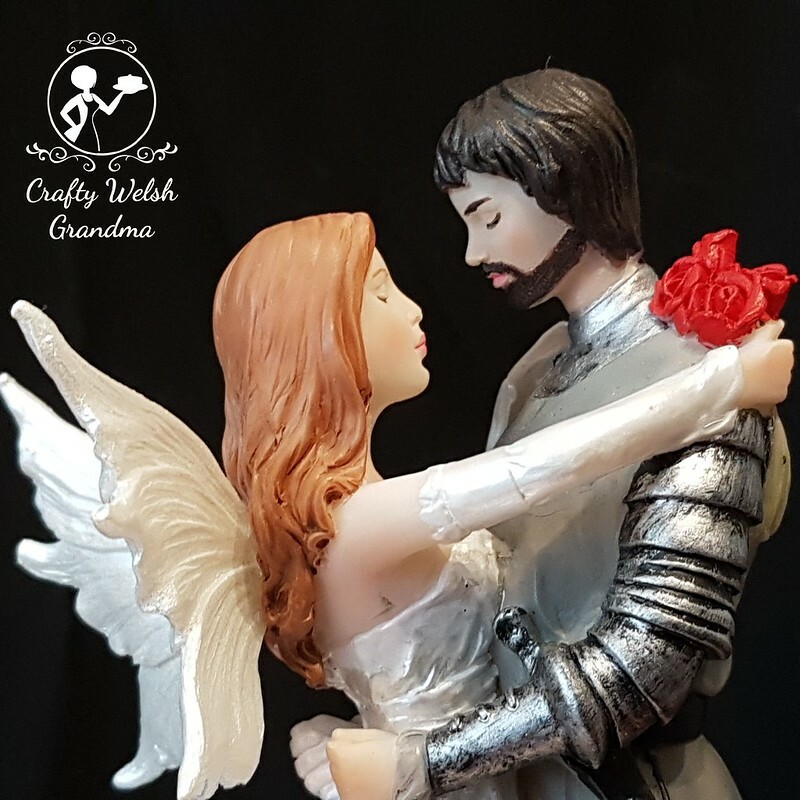 An artist, but the name of Paul, who specialises in miniature dioramas in the most fantastic detail, accepted the task of recolouring the hair, beard and eyebrows of the groom as well as the rose posy of the bride. This gift and it's touch up work, makes a perfect crowning glory of the cake. 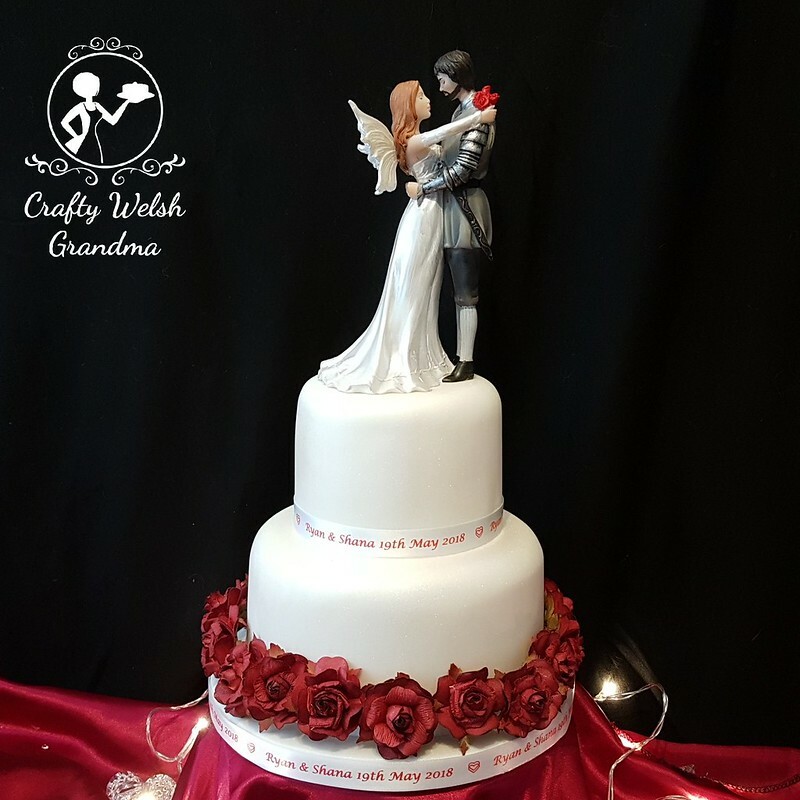 I know these projects for the wedding are not exactly cake, or even edible, but they are so very worthy of a blog entry because, without them and all those involved, this wedding cake and the decorations would not have been possible.